The City of Vancouver was sarcastically honoured by the Canadian Taxpayers Federation for an initiative that allowed to “email a tree.” Vancouver’s park board won the CTF’s Municipal Teddy Award for the project that the federation says cost about $50,000. …The tree email idea was part of an project meant to highlight local artists. 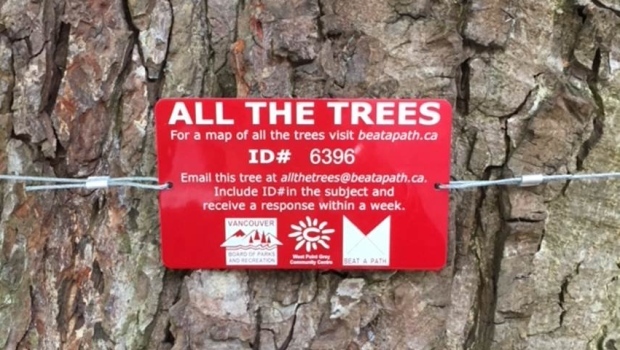 The city posted signs with ID numbers and email addresses on about two dozen trees in the Jericho and Point Grey areas, inviting visitors to get in touch via email. The CTF said five artists were given $10,000 each to respond to those emails “within a week,” acting as the trees. …The CTF also honoured two senior civil servants who made headlines following their suspension from the B.C. Legislature. …Prime Minister Justin Trudeau “won” the federal Teddy for an eight-day trip to India last February.